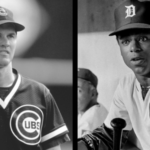 Ryne Sandberg and Lou Whitaker were stars at second base in opposing leagues during the 1980s. When his name first appeared on a Hall of Fame ballot in 2003, Ryne Sandberg received 244 votes, or just below 50%. In 2004, the former Cubs’ second baseman vaulted to 309 votes. He was elected to the Hall of Fame the following year. Sandberg’s second base contemporary, Lou Whitaker, appeared on the Hall of Fame ballot for the first time in 2001 and received 15 votes. With less than 5% of the votes cast, Whitaker was removed from eligibility forever by the baseball writers. The only way Whitaker can get into the Hall of Fame now is via the Veterans’ Committee, which meets every year but only considers players from his era every three. That committee has historically been stingy: the odds are long that Whitaker will ever get his plaque in Cooperstown. But was Sandberg a better player than Whitaker? During their careers, Sandberg was more famous than the quiet Whitaker, earning 10 All-Star selections and nine Gold Glove Awards, in addition to one Most Valuable Player Award. Sweet Lou got some attention too: he won three Gold Gloves, was selected to the All-Star Game five times, and was Rookie of the Year in 1978. Whitaker played on the better teams and had better players around him, players who often got a large share of the headlines. He played all but one season and three months of his 19-year career for one manager, Sparky Anderson, a man who took a lot of attention away from his players. In his 15 seasons with the Cubs, Sandberg played under seven managers and five general managers. The team was in almost constant transition, and he became the face of the franchise. Sandberg played in a ballpark well-suited for his game, Wrigley Field being a perfect fit for his right-handed power. Whitaker had success in Tiger Stadium and as he got older he crafted his left-handed swing to loft fly balls into the short porch at Tiger Stadium. Both Sandberg and Whitaker set home run records for players at their position in their leagues. But Sandberg hit more and became just the second second baseman to hit 40 homers in a season since Rogers Hornsby. Whitaker hit more than 20 homers several times, but Sandberg played in cozy Wrigley Field, where he was able to hit 164 homers in his career, as opposed to 118 on the road. His home slugging percentage was 79 points higher than on the road. Whitaker also hit more homers in his own ballpark, but he was a much better offensive player than Sandberg in neutral parks. On the road, Whitaker had a 762 OPS, while Sandberg came in at 738. In the field, Whitaker had better range than Sandberg, though probably not by much. In addition, Sweet Lou had the best arm of any second baseman in recent memory. Both players were excellent at turning double plays. Whitaker was a better defender, but that skill is harder to understand and more difficult to quantify. Sandberg was more precise and careful in the field: he set a record of 123 consecutive games without an error. Whitaker took more chances but rarely made mistakes. Sandberg won 11 consecutive Gold Gloves in his league, where he had little competition at his position. Whitaker won three in his league, but his career unfortunately overlapped with two excellent defenders in the AL: Frank White and Roberto Alomar, both of whom took hardware away from Lou. Both players started their careers near the bottom of the batting order but quickly moved up. Sandberg became a #2 hitter and was later converted to #3. Whitaker was converted to a leadoff role where he stayed for many years and scored 90+ runs six times. He was, outside of Rickey Henderson and Wade Boggs (two of the best leadoff hitters ever), the best leadoff man in his league in the 1980s. Sandberg and Whitaker were both fast, but the former stole almost 200 more bases. Sandberg had managers who let him run, while Whitaker played in a lineup with a lot of great hitters behind him and was reigned in by Sparky Anderson. Overall, when factoring bases advanced, Sandberg has the edge. Leadoff men are notoriously underrated. They do several things that go unnoticed: draw walks, put pressure on the defense. Middle of the order hitters like Sandberg get sexier stats with more RBIs, a stat that Hall of Fame voters love. Sandberg never played in a World Series, while Whitaker was the catalyst for a dominant World Championship team. Although he had only one RBI in postseason play, Whitaker was on base an impressive 21 times in 13 postseason games and scored ten times. But Sandberg was even more impressive in October: he had 15 hits (seven for extra-bases) in ten playoff games and posted a 1098 OPS. Sandberg was handsome and adored by female fans. Whitaker was aloof and rarely spoke a word to the press. Early in the 1980s, Whitaker signed a “lifetime contract,” a seven-year deal that tied him to the Tigers for the rest of his career, but which left him underpaid during his prime. In the early 1990s, Sandberg signed a lucrative contract with the Cubs that made him (briefly) the highest-paid player in the sport. Sandberg landed a bevy of endorsement deals in Chicago, adding to his earnings. In 1994-95 when baseball was halted due to labor disputes, Whitaker made an ill-advised statement that made him look like a greedy ballplayer and arrived at a union meeting in a stretch limousine, putting off some fans. On the national stage in All-Star Games, Sandberg was presented as a consummate five-tool player. He was frequently paired on the NL team with shortstop Ozzie Smith and folks talked about them as a “dream combo.” In the All-Star Game played in his home ballpark, Sandberg won the Home Run Derby, showing off a skill that baseball fans and baseball writers love. Whitaker played very well in the Midsummer Classic, collecting five hits in four games, including a double, triple, and a mammoth home run off Dwight Gooden. But he’s best remembered for forgetting to bring his uniform to the ’85 All-Star Game and having to wear a souvenir jersey with his name and number written on the back in magic marker. Sandberg was a white kid from an upper middle class family. As a high school quarterback he was named to Parade’s All-American Team. Sweet Lou was a black kid from a lower-income, split family who didn’t stand on the field for the National Anthem due to his religion. Sandberg looked like the kid next door and enjoyed tremendous popularity in Chicago. The Detroit Tigers were the next-to-the-last team to integrate. They did not have a black star until Willie Horton in the mid-1960s. When he became the everyday second baseman in 1978 (more than three decades after Jackie Robinson broke the color barrier), Whitaker was just the fourth black player to be a regular for the franchise! The city had, and still has, a racial tension that simmers below the surface. Granted, Sweet Lou was accepted by many Tiger fans during his career, but there was a feeling that he was the “favorite of the black fans” while the white fans (from Detroit’s suburbs) preferred Kirk Gibson, Lance Parrish, or Alan Trammell. Sandberg was given credit for being a hard-working player. “One day I think he’s one of the best players in the National League,” Dallas Green once said, “then the next day I think he’s one of best players I’ve ever seen.” Whitaker was knocked for not getting more out of his incredible god-given talent. “If he puts his mind to it and works on it every day, Lou can win a batting title.” Sparky Anderson said. During his career, Sandberg shared the middle of the infield with three primary starting shortstops, a remarkably small number for the number of years he was active. But none of them were near his equal, and Ryne was clearly the best of any double play tandem the Cubs had in those years. Meanwhile, Whitaker played 1,918 games with Alan Trammell as his shortstop. They came into the league together and spent 19 years as a pair at second and short. The two are inextricably bound together. As a result, Whitaker is reduced a bit, becoming part of something bigger than himself. Some of his greatness is lost in the shadows of a Hall of Fame keystone partner. Sandberg wore #23, a number worn by another Chicago superstar, Michael Jordan. That number and those two players have become iconic in the Windy City. The Cubs have retired that number in his honor. Whitaker ranks among all-time leaders in every offensive category in Tiger history, but the franchise hasn’t retired his number, nor is there a statue or any other honor to his career in their ballpark. Late in his career, Sandberg retired due to personal reasons and missed a full season. A year later he returned triumphantly and was the focus of much media attention. Whitaker was in the Motor City for 19 years, year-after-year-after-year, and in a way was taken for granted, like the sports car in the garage that keeps firing up every spring. Sandberg played almost his entire career in a Chicago uniform for the lovable Cubs, a team that has support all over the country. His games were broadcast on WGN, a super station that was beamed into millions of homes via cable TV. Whitaker played his entire career for the Tigers in Detroit, a city that has a terrible public relations problem. Sandberg won the MVP Award in 1984 and finished in the top-five in MVP voting three times. He had a defining season (1984) that stands out in his career. Whitaker had no such season. In 1983 he hit a career-best .320 and had more than 200 hits, but had little power at that time. Later he developed his power and hit as many as 28 homers in a season. He would walk 85-90 times or score 85-95 runs, but just miss the “magic” milestones of 100. He never again had 200 hits or competed for a batting title. He was content being a spark, a table setter. Sandberg was the run producer, the meat in the sandwich. If we look at the two players statistically, Sandberg did more of the things that HOF voters like: driving in runs, hitting .300 and winning awards. Whitaker always seemed to fall just short of 100 runs scored, or a .300 average, though he got on base more than Sandberg because he was a very patient hitter. Sandberg finished in the top ten in MVP voting four times. The best Sweet Lou did was eighth in 1983, the year he put up a voter-friendly .320 average. As he approached his mid-30s, Sandberg aged quickly. After age 32 his OPS+ was 95. In contrast, Whitaker became more valuable and honed his game to take advantage of his strengths. His OPS+ after the age of 32 was 129, and he was still an effective offensive performer in his final season when he posted an 890 OPS as a platoon player. Sandberg retired at the age of 37 because his body was falling apart and he couldn’t play the game anymore. The Braves offered Whitaker a lucrative one-year deal to play in his age 39 season, though he chose to retire instead. Their raw career numbers are pretty close. They played about the same number of games. Sandberg has more homers, but Whitaker got on base a lot more, since he walked a lot more than Ryno. Whitaker also hit more doubles and triples. Sandberg has the edge in RBIs, Whitaker in runs scored. If we look at conventional rate stats, Sandberg has a nine-point edge in batting average and a 26-point edge in slugging. But Whitaker erases most of that with a 19-point edge in on-base percentage. Their career OPS rates at 795 for Sandberg and 789 for Whitaker. When we take into account park factors and league competitiveness, Whitaker’s career OPS+ comes out ahead at 117 to 114 for Sandberg. Even if Sandberg was a better defender, the two are still pretty even. Via advanced metrics, Whitaker had about 75 WAR in his career, Sandberg had about 68. Their peak (measured by WAR7), shows Ryno with the edge: 46-37. Whitaker was extremely consistent, he had 11 seasons with a WAR of at least 4.0, while Sandberg had only seven. But Sandberg had four seasons above 7.0 WAR, while Whitaker had none. Essentially, Sandberg was great a few seasons, while Whitaker was really good for a lot of seasons. Both players rank among the all-time best at second base: each belong in the top 15 at their position. But Sandberg wins on the intangibles, and his performance in award voting throughout his career should have been a sign that he would get far, far more support in HOF voting than Sweet Lou. 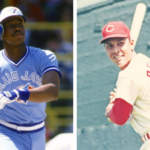 Here at BaseballEgg.com we have our Top 100 Second Basemen of All-Time, which has Sweet Lou at #15 and Ryne Sandberg a few spots ahead of him at #12. Whitaker’s one-ballot dismissal was probably the worst voting snub in Hall of Fame balloting history. The gap between these two players is not that large, and a good argument could be made that Whitaker was a better player. Very good piece.. Lou whitaker should be in hof.. Wht hurts Lou was his quiet nature. His flashy side was due to his first wife Crystal.. I got to know Lou during his playing days. Nice quiet and shy and always professional. Had time for the fans but wouldnt toot his own horn or want the publicly. Thanks for reading the article, Alan. I bet it was interesting to get to know Sweet Lou. He’s a fascinating man to me, because he was so reclusive. I watched his entire career, and I bet I heard him give interviews maybe twice in all those years. He rarely ever spoke out or was on camera unless it was on the diamond. Enjoyed the article. I know I’m biased but it is a shame that Lou did not garner any more support for HoF consideration. Maybe one day will change; I want to think there is still a chance. I agree James. It’s shocking that the baseball writers as a collective group could be that ignorant. Sweet Lou was a great player who was often overlooked. Detroit fans know how valuable he was. A genuine cog in a lineup that should have won more. The ink was more spread out in his neck of the woods. Lou just did his job and didn’t care to speak up. Sandberg got more press cause of WGN sure and was good. Yet he was no champion in Chicago. Both deserve to be in the Hall. Trammell & Morris included. If Willie Horton gets a statue, Sweet Lou deserves one also. Another blemish on Detroit’s upper brass. Keep up the good work Dan. Thanks for reading the article, Greg. Always appreciate your perspective. Loved the article Alan. It’s absolutely criminal that Lou, Tram, Parrish or Morris aren’t in the HOF, as all are worthy. Jack Morris has 4 WS rings, 4 and was dominant on 3 of those teams. People often laugh when I say Lance Parrish deserves to be in too, but his stats are comparable to Gary Carter’s, a head scratcher as a hofer to me. Just do research on both statistically, you’ll see how close they are stat wise. Lou Whitaker is my favorite player of all time. He belongs in the Hall of Fame. Period. If guys like Whitaker, Trammel, Morris and going older, Lolich and Freehan had played for the Yankees or Red Sox you can almost guarantee they’d be in the Hall of Fame. What grinds me more, is that Whitaker and Trammel(my 2nd favorite of all time) still do not have their numbers retired. They deserve that more than anything. Along with a statue of the two of them turning a double play! This same article could be written using Trammell and Jeter. One was a no doubt, first ballot guy, the other an afterthought. Statistically not all that far apart, but the perception would suggest a valley of difference. I personally think he’s better than Ozzy, who went in right away too. Thanks for reading the article Ben, and for commenting. I agree that Alan Trammell compares favorably to Derek Jeter. Whitaker was an excellent player and deserves to be in the HOF, but some of this post is subjective tripe, particularly the paragraph on baserunning: “Sandberg and Whitaker were both fast, but the former stole almost 200 more bases. Sandberg had managers who let him run, while Whitaker played in a lineup with a lot of great hitters behind him and was reigned in by Sparky Anderson.” Sandberg was a much better baserunner, achieving 39 SBR over the course of his career. Whitaker was just below breakeven at -1.5. Your paragraph on their defense is completely subjective. “In addition, Sweet Lou had the best arm of any second baseman in recent memory. He was blessed with a cannon on his shoulder.” That is subjective to the point of being throwaway nonsense. Second basemen who have cannons on their shoulders are called shortstops. Both Sandberg and Whitaker had good arms for the position. But no one in the ’80s was claiming, “Wow, that Whitaker has a much stronger arm that than Sandberg!” as you imply. Also, you ding Sandberg by a point on career OPS+, and you exaggerate his home road splits. His career home slugging % was 79 points higher than his road total, not 90. Furthermore, had Sandberg been “an average offensive player on the road,” his career OPS+ would be nearer to 100 than the 114 it actually was. He was a good offensive player whose numbers were helped by his home park; he wasn’t some sort of Bichette-esque straw man. Finally, “notoriety” is unfavorable. Sandberg didn’t “achieve notoriety” during his career. Your basic points are correct: Both players deserve to be in the HOF. Sandberg was better at his peak. Whitaker played longer and was better late in his career. But some of this piece comes off as sloppy and overly subjective. Just discovered your site and am enjoying reading about baseball while it is freezing outside. Just one minor nit to pick. Your article states that “Sandberg….became the first second baseman to hit 40 homers in a season since Rogers Hornsby”. Didn’t Davey Johnson hit 43 for Atlanta in 1973 after hitting in the single digits the previous year in Baltimore? Still think that was one of the worst trades the O’s ever made. Thank you for commenting. You are correct, Johnson did hit 40 homers for Atlanta. I will make the change to the article.